Good day! 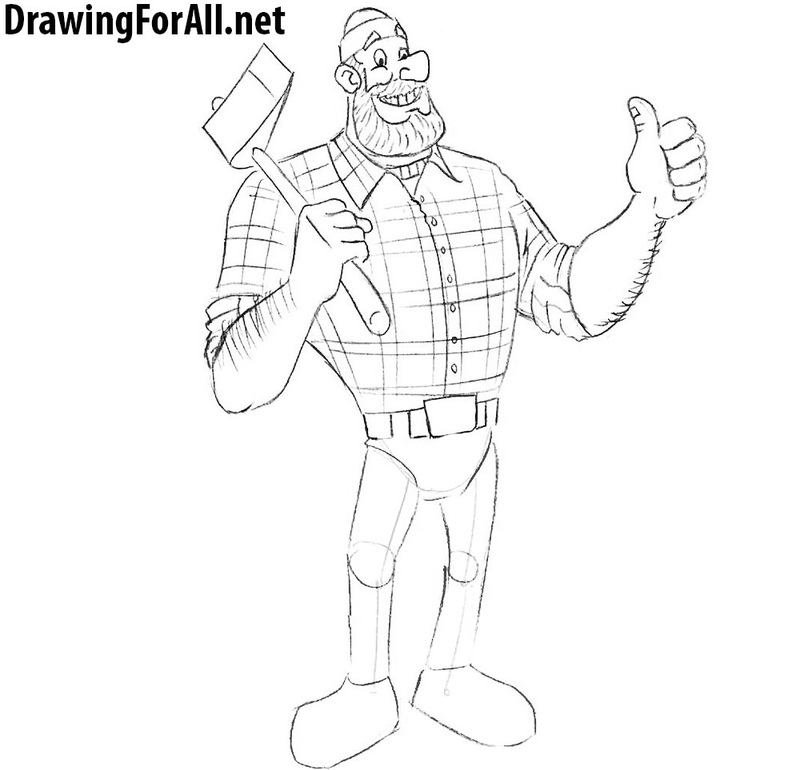 Today we will show how to draw Paul Bunyan – a giant lumberjack and a character of Canadian folklore. Paul is a good-natured giant guy who travels to various townships and villages, constantly getting into funny stories. Paul Bunyan travels with his best friend – a bull named Babe, which also has a very good-natured disposition. 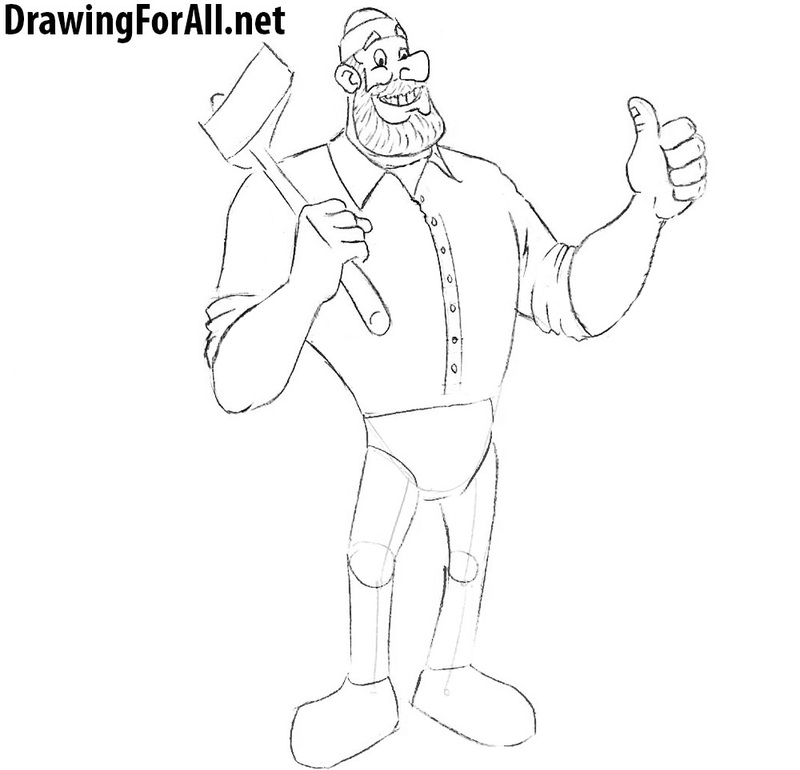 First outline the figure of Paul Bunyan in general. See how grotesque body looks like an inverted triangle. The head is also very remarkable – it looks like a bean. 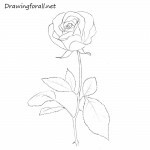 Now we do something similar to the silhouette of future drawing using simple geometric shapes. 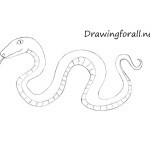 Draw the eyes, nose, mouth and eyebrows of Paul. Notice how highly placed the eyebrows – almost at the very top. 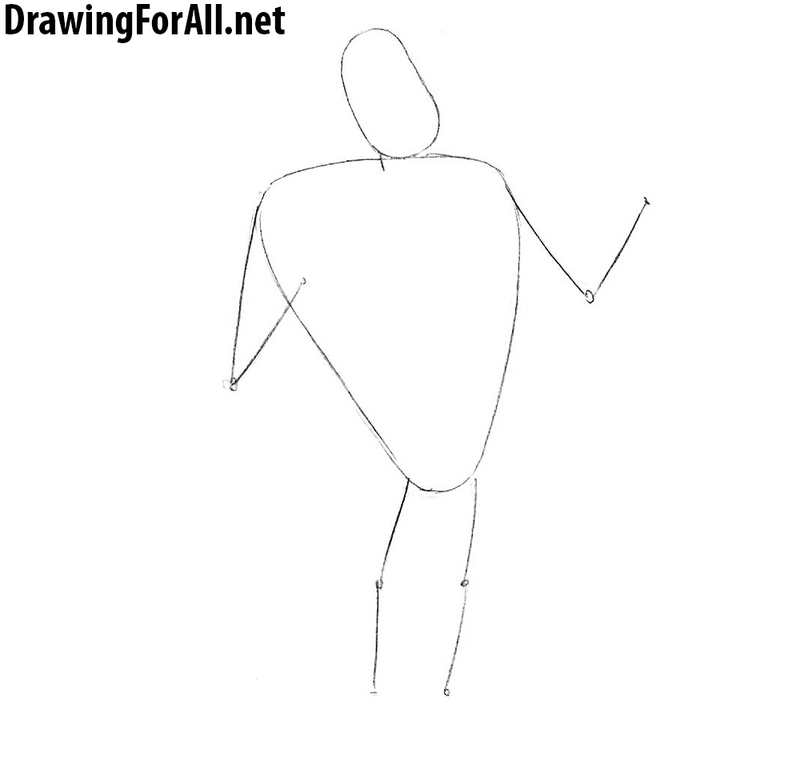 Draw out the beard, ears and hat of our giant. 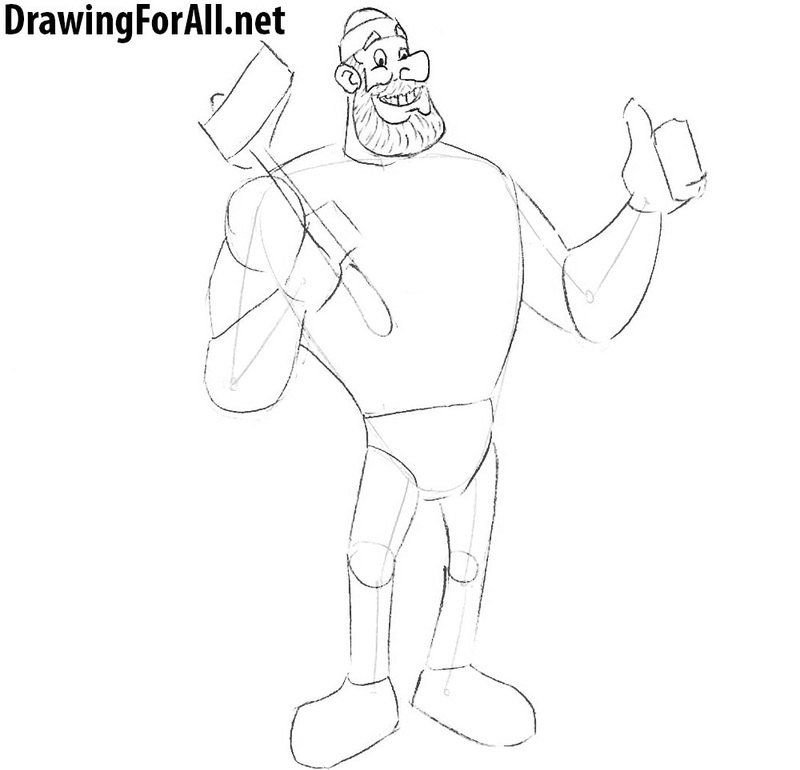 Detailing the upper part of the body of Paul Bunyan. Do not forget about the rolled up sleeves, collar and buttons. 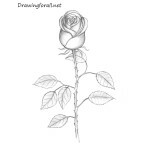 Sketch out the crossing lines of the checkered shirt and hairs on the arms. 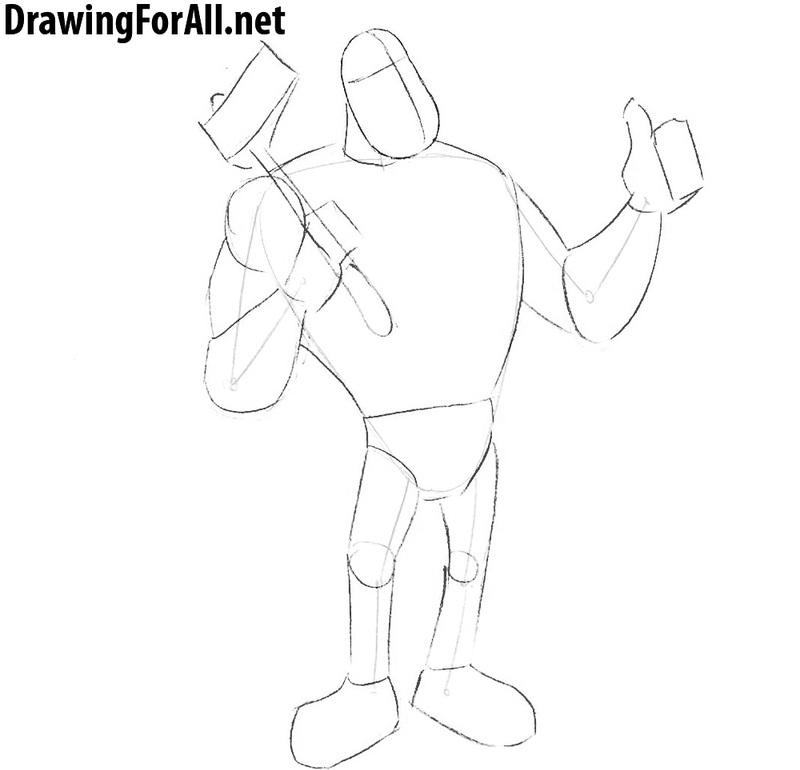 Now draw the details at the lower part of the body of Paul such as pants and shoes. 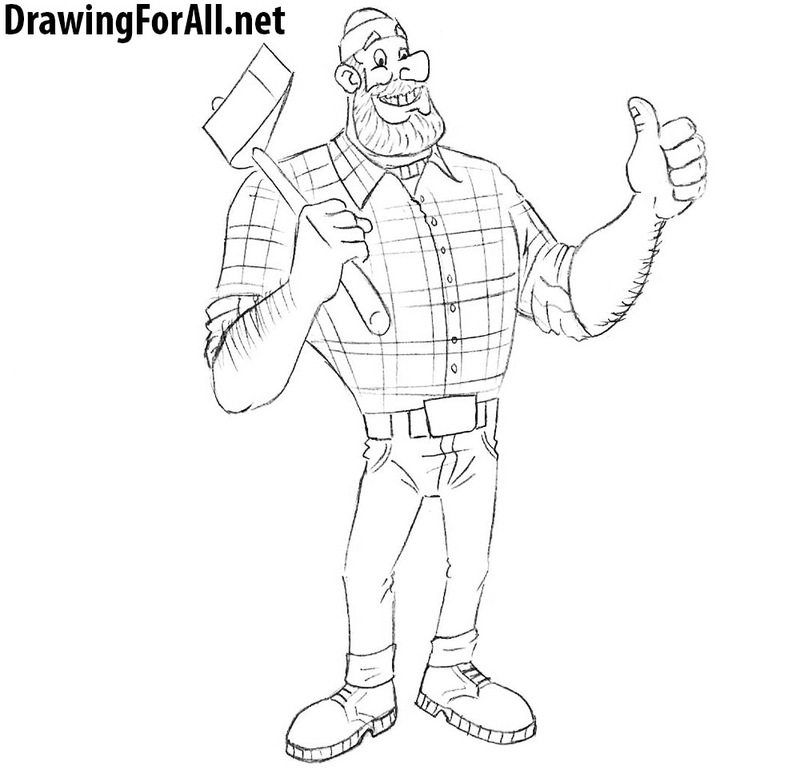 Paul Bunyan drawn in cartoon style, in the same style we also drew a lot of characters, such as Boss Baby and Tad Jones.